The walking corpses will ignore you. Visit your undead friends without upsetting them. 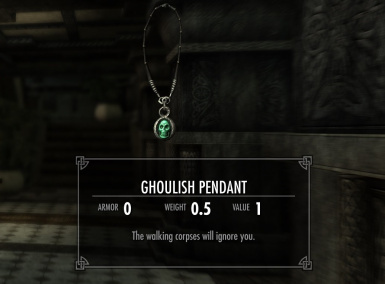 An absolute must-have for the savvy necromancer's wardrobe. Using a Dread Lich from "Liches- Mihail Monsters and Animals (SSE PORT)". The amulet is no longer free. Find the recipe in Curalmil's laboratory and fight for your right to wear it. Added crafting, just in case. 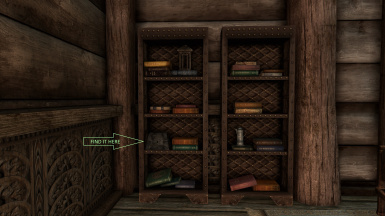 While worn, sets the Dragonborn as friend of Draugrs and Skeletons. Craft it at a forge with the recipe in your inventory. Get the recipe in Curalmil's laboratory, prepare for a fight. Using assets from Liches- Mihail Monsters and Animals (SSE PORT), thank you Mihail and MihailMods for the mod, and for allowing its free use.